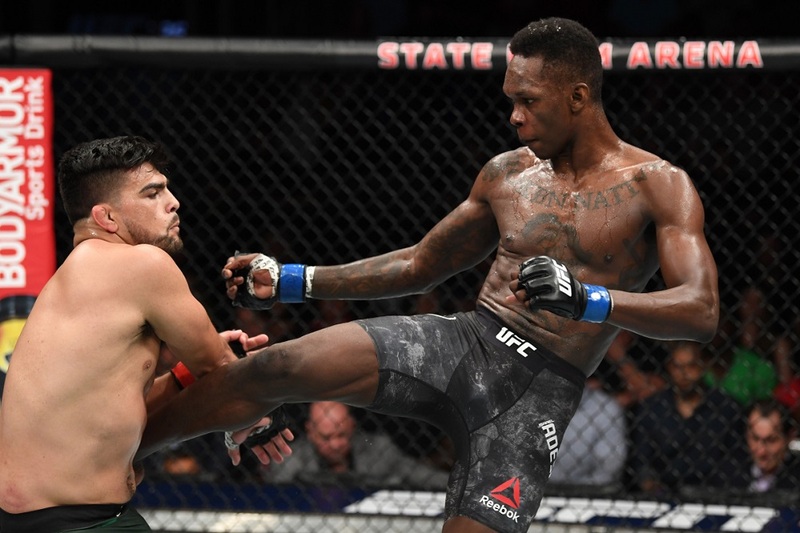 Adesanya (17-0) defeated Gastelum (16-4) via unanimous decision to claim the UFC's interim 185-pound championship on Saturday. All three judges scored the five-round bout for Adesanya, including 10-8 marks in the decisive fifth round. The title bout co-headlined UFC 236 at State Farm Arena. The fight was an instant classic and brought the entire crowd to its feet. The score was tied two rounds apiece entering the final round, and Adesanya rose to the occasion. He dropped Gastelum multiple times in the fifth, and it was only Gastelum's impeccable durability and heart that prevented a stoppage. It's a disappointing result for Gastelum , but the 27-year-old did everything in his power to win. He held his own on the feet against Adesanya, who is a former professional kickboxer. Gastelum found a home again and again for his powerful left hand and hurt Adesanya badly in the fourth with a head kick.